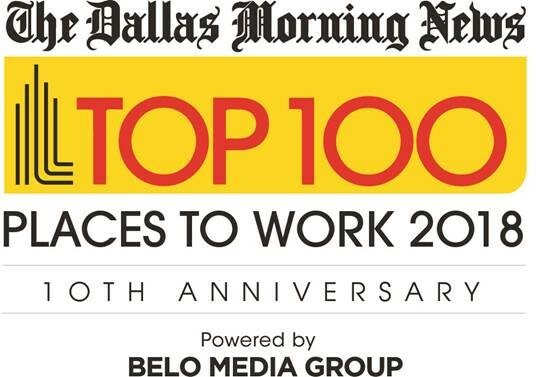 We are excited and proud to be named for a 9th time among this year’s elite list of The Dallas Morning News’ Top 100 Places to Work in DFW. 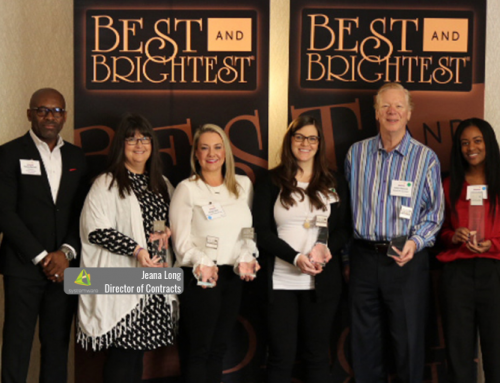 This list celebrates so much that we encompass as an organization – going above and beyond to create a positive, supportive environment for each and every employee. 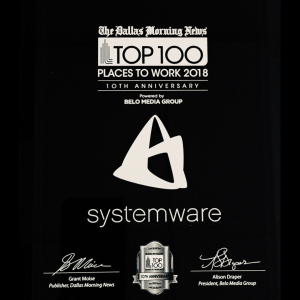 Inclusion on the Top 100 Places to Work list is something we take to heart here at Systemware. We strive to ensure our people work in an environment where they feel supported and recognized, and our customers get to reap the benefits of business partners empowered to succeed with a shared vision of moving forward. We could not receive awards such as this without our incredible employees and the families that support you behind the scenes. A very special THANK YOU to each one of you! 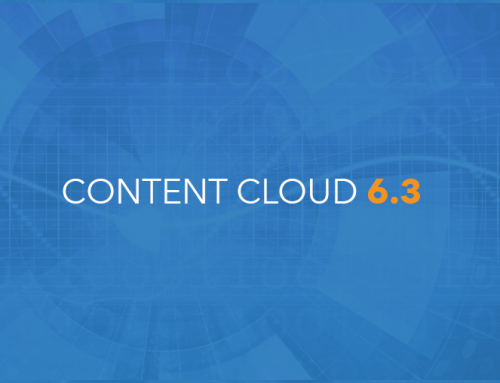 We appreciate your strong dedication to our positive culture and commitment to customer excellence that brings Systemware to the forefront of digital transformation.